Avengers: Endgame is probably going to be, by a wide margin, the longest movie in the Marvel Cinematic Universe to date. This movie has a crazy amount it needs to accomplish. Not only is it following one of the biggest cliffhangers in movie history, with Thanos killing half of all life in the entire universe, but it's also going to serve as a conclusion of sorts to these first three phases of the MCU. 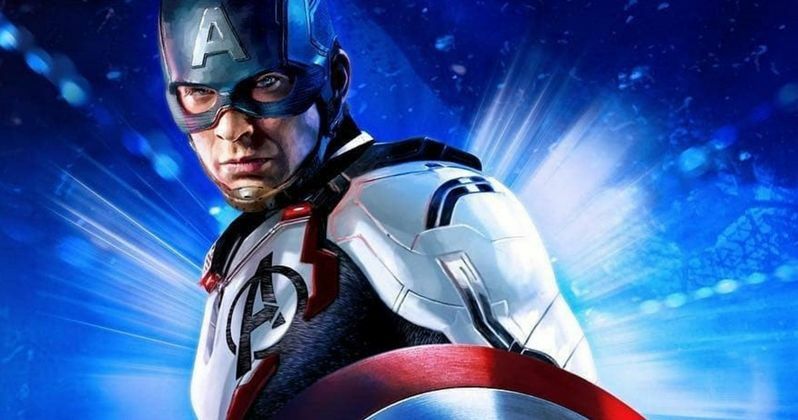 With that, directors Joe and Anthony Russo decided they were going to need more time than usual to accomplish what they need to accomplish, as the runtime for the movie has apparently been revealed. As people on Twitter have started to note, several websites are listing the official runtime for Avengers: Endgame at 3 hours and 2 minutes. These sites include AMC, the largest theater chain in the United States, and the movie's official IMDB page. Point being, this isn't some shady website claiming that the movie is going to be long. These are reputable sites that tend to have correct, up-to-date information for these titles. While we still need to wait for Marvel Studios and Disney to come forward and give us definitive confirmation, this one is more or less confirmed at this point. This won't come as a huge surprise for many Marvel fans. The Russo brothers previously suggested in two different interviews that their cut of the movie was clocking in at around three hours. They also made it clear that Marvel just wants the best movie possible released in theaters. Most comic book movies would never get away with being this long, but this is not a usual situation. Moviegoers are going to want to see how things wrap up after Infinity War and they probably aren't going to be scared off by having to sit in a theater for longer than they might normally have to. There are some logistical issues that come with such a long running time. For one, theaters won't be able to fit in as many showtimes in a given day. That means getting tickets on opening weekend could become a little bit more challenging than usual for a movie this big. Also, practically speaking, viewers are certainly going to struggle with the bathroom break dilemma, as it's going to be far more difficult to control one's bladder for that long. It's doubtful there will be any sort of intermission built in. So start planning now, Marvel fans. For what it's worth, Infinity War was previously the longest MCU movie, clocking in at 149 minutes. That means this 182 minute runtime is significantly longer. At least we know that the Russo brothers didn't pull any punches when it comes to telling the story they wanted to tell. Avengers: Endgame is set to arrive in theaters on April 26. Hopefully, this information will be confirmed by Marvel in the near future.